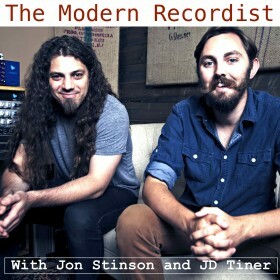 This episode of The Modern Recordist is another edition of The 15 Minute Mixdown, the shorter/alternate episodes where host Jon Stinson drops into the studio solo, and takes a few minutes discussing a thought or idea in a monologue format. People work with people that they like or are friends with. You can be the most talented and technically skilled at what you do, but if you don’t have good quality relationships with people, all that time you’ve spent developing your talent isn’t really gonna move the needle. So focus on your relationships and the rest will take care of itself. The Modern Recordist is a podcast devoted to the exploration and continual discussion around designing and living your life as a creative visionary. Each week Jon Stinson, JD Tiner, and Parrish will venture on this journey, either in a casual hang out with a guest, or by diving into a specific topic for a few minutes in more of a monologue-structured format. Hear stories and learn from the most innovative, inspired, and talented songwriters and artists in the music scene. Spark your genius with actionable advice and takeaways. Become inspired and move to action as you design and live your life of a creative visionary. If you’ve been hangin around my site for any amount of time, you know that I’m a producer/recording engineer/mix engineer working out of Nashville, TN. If you’re interested in my work and album credits feel free to poke around my site and scope all that out. Also, check out Recording Drums 101 a resource I put together with simple and practical tips for recording drums. JD Tiner is the main man behind Glass Onion Recording, the studio that is home to The Modern Recordist, and the studio that Jon Stinson does most of his work out of. Glass Onion Recording is a vibey spot in Nashville, with a great selection of vintage analog gear, modern analog gear, and digital gear. Parrish handles all the engineering responsibilities for The Modern Recordist, so Jon and JD get to put their full attention on the guests. 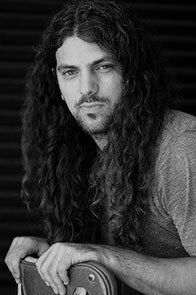 He is a producer/engineer working out of Nashville, as well as part of the team at Villain Place, a record label, production company, and recording studio, also in Nashville. Make sure you are subscribed to The Modern Recordist on iTunes! Also, please take 60 seconds to leave us a good rating and review on iTunes as well. As we are in the launch phase of this podcast, good ratings and reviews help us to continue to gain traction and spread the word about this show. And speaking of spreading the word, if you got something out of this show, and know a friend or two that would also get something out of this episode, make sure you share it with them! Go live your extraordinary life of an artistic visionary, and create something impactful for the world.